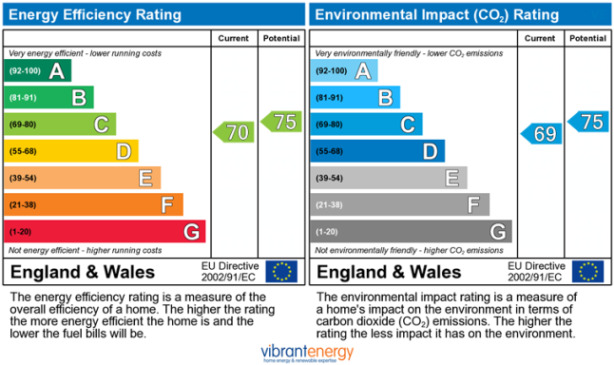 An EPC informs the potential buyers of a property or tenants of how energy efficient a property is by providing a grading for the energy performance of a home from A to G. A being very efficient and G not so! There will also be a recommendation report outlining what improvements could be made to the property in order to achieve the highest possible rating. This report is for information purposes and as a seller or landlord t here is no legal requirement to act on any of the recommendations. The EPC must be ordered prior to marketing of the property. Failure to provide an EPC could result in heavy fines for the vendors, landlord and or agents involved.